You are here: Home / Givi Product Focus / Accessories / Givi Ultra Mobile Luggage. 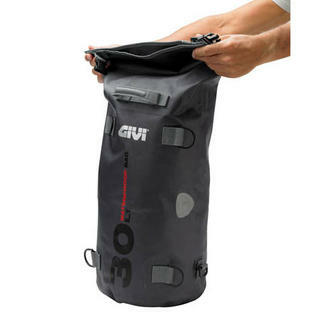 If you have more than one bike or if you need to be able to walk around with your luggage because you’re a student or perhaps going travelling and need more mobility with your luggage then check out these ultra portable luggage sets from Givi. 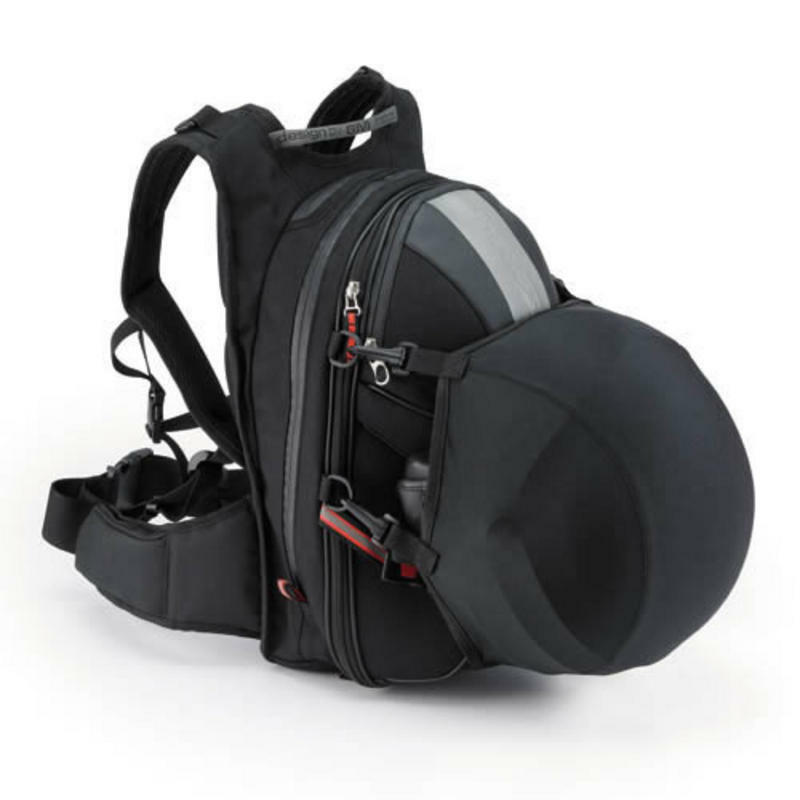 First up is the Givi T487 - part of Givi’s high specification XStream range is a great rucksack which features expandability between 24-32 Litres, specific helmet bag mounting points, weatherproof zips, a storm cover multi directional chest/waist harness and an ergonomic back plate! 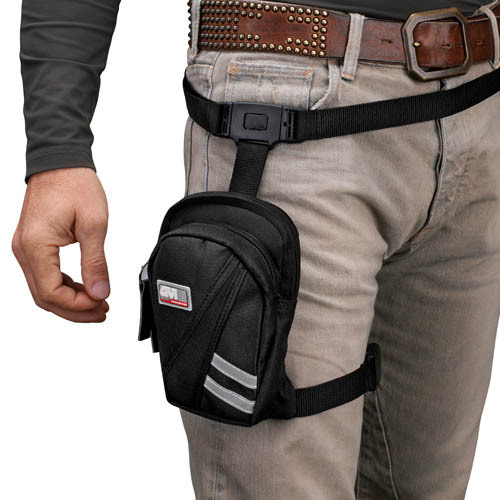 Next up is the Givi T454B - This bag straps to your thigh so you can literally get off the bike and just walk, you don’t even need to undo or re-fasten anything, ideal for couriers or for having security or toll passes quick to hand etc. 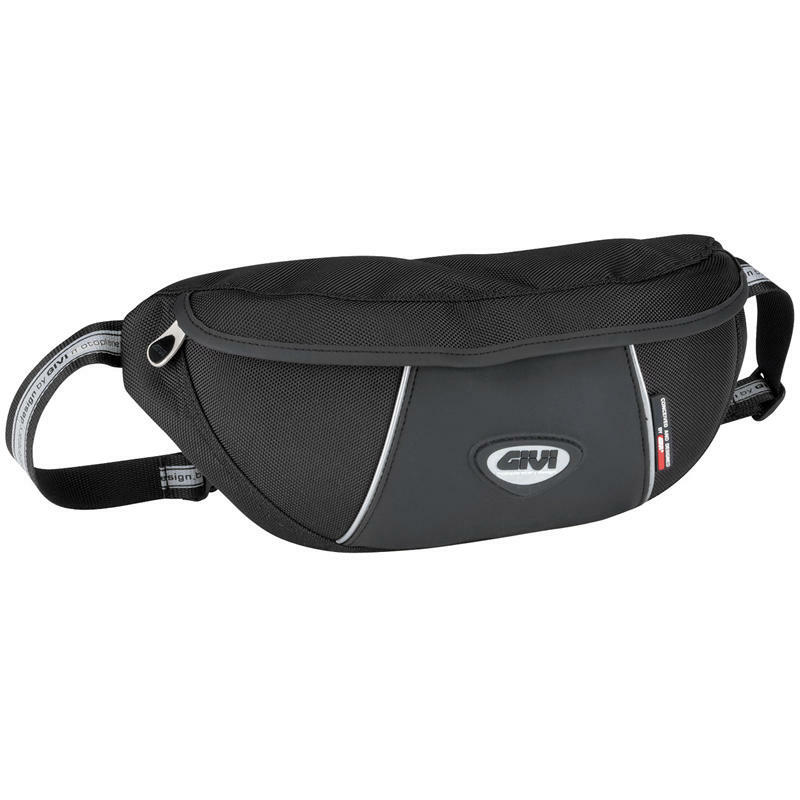 Moving onto something a bit bigger, the Givi Tw02 – This waterproof cylinder roll bag offers a spacious 30 Litres and sits behind you on the bike, there are multiple fastening points for you to simply clip the bag to a rucksack or similar whilst on the move and has a simple carry handle on top for maximum portability! Simple answers are usually the best, which is where the Givi T453B comes in – A Bumbag needs no introduction really but the Givi T453B does have three separate compartments, reflective piping and a waterproof flap to protect the zip mechanism making it a lightweight solution for small amounts of luggage, part of the silver range the quality on this little bag is top notch. That concludes the ultra mobile luggage write up keep checking back for new articles throughout the week.